The epic poem Beowulf is the most famous surviving work of Old English literature. For decades, scholars have hotly debated both when the poem was composed and whether it was the work of a single anonymous author (“the Beowulf poet”). Lord of the Rings’ scribe J.R.R. Tolkien was among those who famously championed the single-author stance. Now researchers at Harvard University have conducted a statistical analysis and concluded that there was very likely just one author, further bolstering Tolkien’s case. They published their findings in a recent paper in Nature Human Behavior. 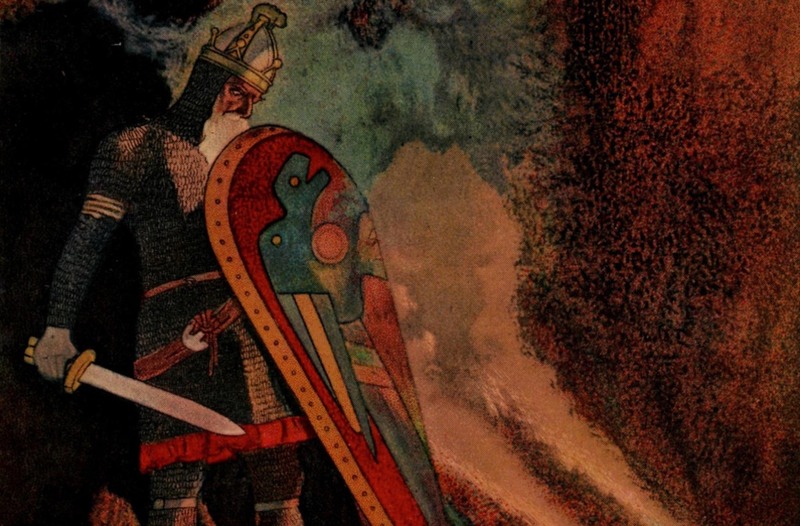 Set in Scandinavia, Beowulf recounts the adventures of its titular hero. The Danish King Hrothgar’s mead hall is under attack from a monster called Grendel. Beowulf obligingly slays the beast, incurring the wrath of Grendel’s equally monstrous mother. He slays her, too, and eventually becomes king of his people, the Geats. Some 50 years after those adventures, Beowulf slays a dragon, although he is killed in the process. Scholars believe many of the characters are based on historical figures in sixth-century Scandinavia. The original manuscript dates back to between the eighth and early 11th centuries; a more precise date is one of the most heated academic debates about Beowulf. The second debate centers on whether Beowulf is the work of many different authors, stitched together from multiple sources, or a single person. According to Madison Krieger, a postdoc in evolutionary dynamics at Harvard University and one of the new paper’s authors, the questions about Beowulf‘s authorship began in earnest in 1815 with the publication of the first widely available edition of the poem.